Join over 100 successful companies in Ladytown Business Park today! 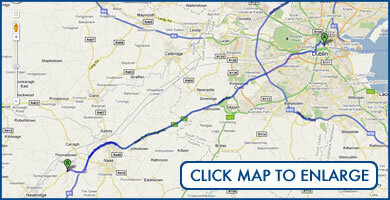 Ladytown Business Park is located on the R445 dual carriageway between Naas and Newbridge in Co. Kildare. Just off exit 10 M7 and adjacent to Naas Enterprise Park (formerly Toughers) and The Red House Hotel, this location comprises a fully serviced industrial estate, fully fitted office units, leisure facilities, showrooms and more.